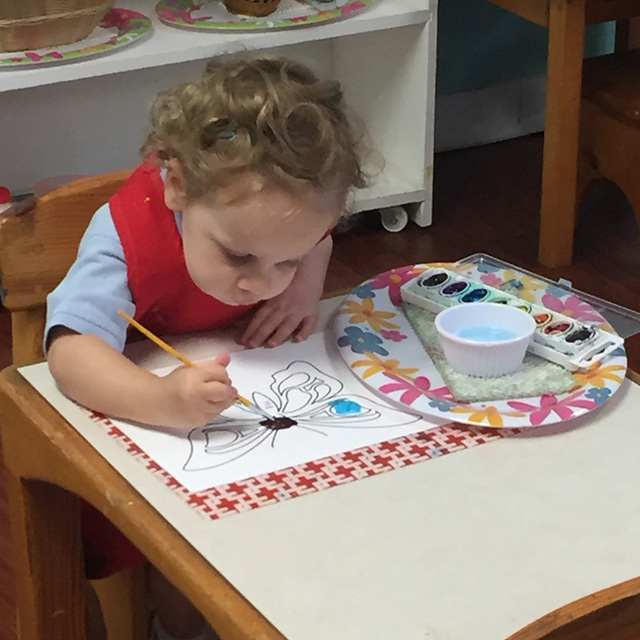 The Pre-Primary toddler program focuses on the development of independence, language, fine and gross motor skills, and social interaction. In addition to working with the Montessori lessons, children go outside each day for 30 minutes, have snack, music, stories and circle time. The child does not have to be potty-trained. The 2-Day Program is available for children ages 18 months to 3 years old. The 3-Day and 5-Day Program is available for children ages 24 months to 3 years old.